Sun blisters on your lips are caused by damage from overexposure to the sun. Those that are fair skinned tend to be more susceptible to these lesions than those with darker skin. The more severe your sunburn, the more risk you have of developing blisters. This area of the body is naturally sensitive, so the appearance of blisters on the lips can cause a great deal of discomfort. Fortunately, there are many home remedies that can help provide relief. It’s a well-known cure for minor burns as well as sunburn blisters. 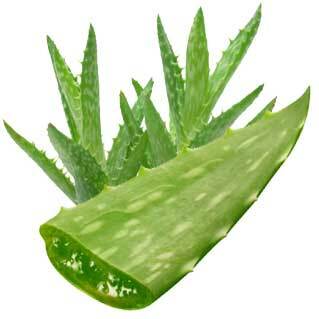 Aloe vera can reduce the discomfort and pain, and re-hydrated the affected skin. Apply fresh aloe vera gel to the affected are and leave until it is absorbed by the skin and dry. Applying cold compress to the burned skin can help relieve the pain and inflammation. Dab a towel into the cold water and squeeze the excessive water out. Directly apply on the burned area and repeat several times until you feel much better from the pain. 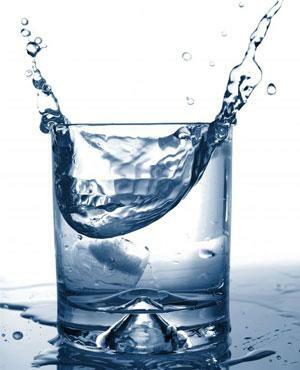 Never apply the ice directly on the burned skin for this can make the condition worse. 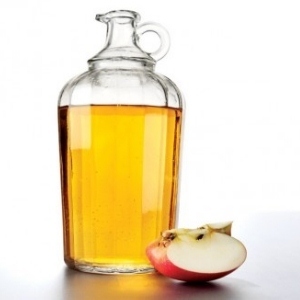 You can either apply apple cider vinegar or white vinegar to the sun blisters to absorb the heat from the burned skin, relieve the burning sensation and accelerate the healing process. Directly spray either of the vinegars on the sunburn blister. Or dilute the vinegar with cold water and dip a cotton ball or a soft cloth into the mixture. Rub gently over the blister. Or mix equal part of honey with the vinegar and apply the mixture to the affected area to prevent infection. 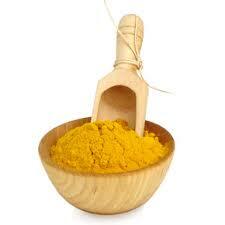 Turmeric contains antiseptic and healing properties. Mix turmeric powder with some water to form a paste and use the paste on the blister for about 10 minutes. Or combine turmeric powder, yogurt and barley together to form a thick paste and generously apply to the burned area. Leave the paste for about 30 minutes, then gently wash off with cold water. Use this remedy once a day until the blisters are treated. This can reduce the pain as well inflammation. 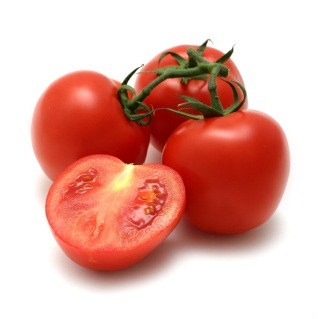 Tomato juice is very effective to cure sunburn blisters. Combine mashed tomato or 1 cup tomato juice with 1 1/2 cup buttermilk. Apply the solution to the burned skin and leave it for 30 minutes. Then use cold water to wash it off. This can relieve the constant burning feeling and fasten the healing. Or add 2 cups tomato juice to the bath water and soak your body to in the mixture for 10-15 minutes. Or combine tomato paste with crushed ice and apply to the affected area. This can relieve the pain instantly. Keeping the lips moist is also very helpful in reducing the pain from a sun blister. You can apply lip balms with SPF content, wax, lanolin or vitamin E to help keep moisture in the lips. Breaking open a vitamin E capsule and rubbing it on the lips can help your skin regenerate new cell more quickly so your blisters can heal. Cooling Gels. A cooling gel like antihistamine, aloe vera or corticosteroid products can help reduce your inflammation so your lips will feel less sensitive. Antibiotic Ointments. Apply ointments such as bacitracin or polymyxin that have antibiotic properties to help reduce your risk of an infection as well. Burns cause the skin to become inflamed which is what causes your discomfort. Taking anti-inflammatories such as ibuprofen, aspirin or acetaminophen can help take down the inflammation so you will feel less pain. Covering the Lips. Covering Lips. You cannot cover your lips with a bandage so it is likely that this skin will come in contact with contaminants as you eat or move throughout the day. Do what you can to avoid any substances that could put you at risk. Further Irritation. Skin that has blistered is very sensitive so you will need to make a point of avoiding anything that can cause further irritation to your lips. Limit your exposure to the sun until your skin has had a chance to heal so you do not cause more damage and pain. Keeping the blisters clean will help reduce your risk of infection. Also keep your lips cool and dry and away from anything that causes irritation. Do not touch the blisters if it can be avoided. Popping the Blisters. Do not try to pop a blister as this will increase your risk of infection. Very large blisters that are making it hard for you to function can be drained. Use a clean needle to gently release the fluid, but do not remove the skin covering the blister as the damaged skin beneath is very sensitive and requires protection. Petroleum-based Products. Some products such as petroleum based products or those containing lidocaine or benzocaine can cause more damage to your blistered skin so they should be avoided. Heavy and Spicy Foods. Foods that are likely to cause irritation like spicy foods or foods that are very heavy and rich can make your blisters sting. Avoid these until your skin is less sensitive. Warm or Hot Baths. When you are suffering from sunburn blisters, don’t take hot or warm baths for several days since this may worsen the condtion. Blisters on your lips are caused when your skin becomes extremely sunburned because the skin has started to swell. Avoid direct sunlight from 10 am- 4 pm when the sun’s rays are the most intense. Apply sunscreen half an hour before you head outside. By this way, your skin can absorb the lotion and it will be more effective. Whenever you sweat or get wet make a point of putting on more sunscreen. Otherwise reapply your sunscreen every 2 hours to ensure that you always have a layer of protection on you. Wear a hat or other clothing that can protect your face from direct sunlight to help ensure your lips will not become blistered.